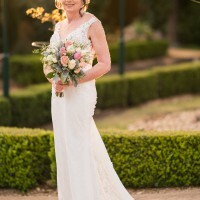 This Zavana Bridal gown was purchased in 2018 and worn in September 2018. It has been professionally dry-cleaned and is ready to be worn again. 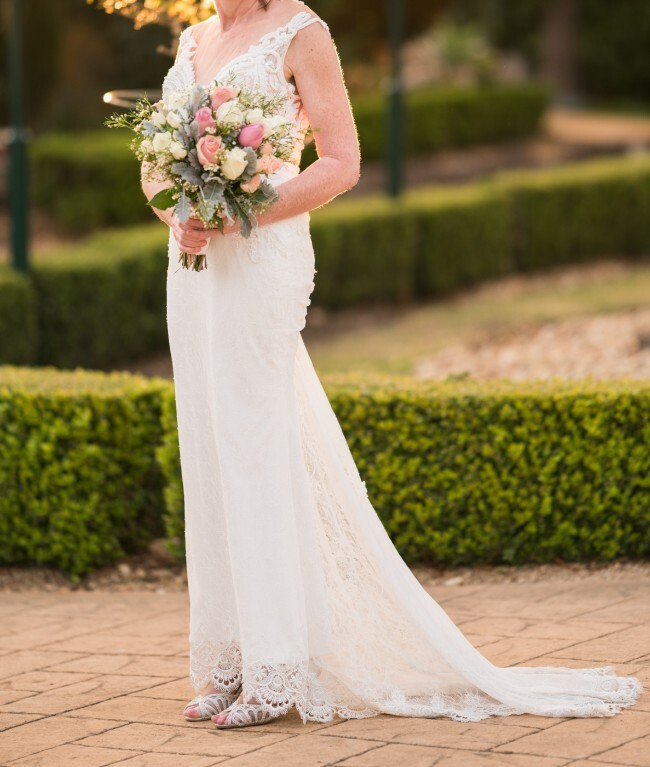 An extremely glamorous off the shoulder style gown, the bodice is heavily beaded with a sheer mesh insert which gives the illusion of bare skin. The front plunges to a V shape which is very flattering across the bust, and it has a built-in bra. The back of the gown is embellished across the neck leading into a string of pearls down the back of the dress with a hidden zipper. The skin tone mesh across the back of the gown again gives the appearance of bare skin. The embroidery on the lace across the dress is so delicate, with a lovely scallop edge to the train. The train has a silk underlay and a bustle which allows for easy movement and dancing. This dress received so many compliments on my wedding day. It would be wonderful to see it worn again. I am usually a 6-8 dress size. The train was originally mid-length but I had it shortened to suit my petite figure.